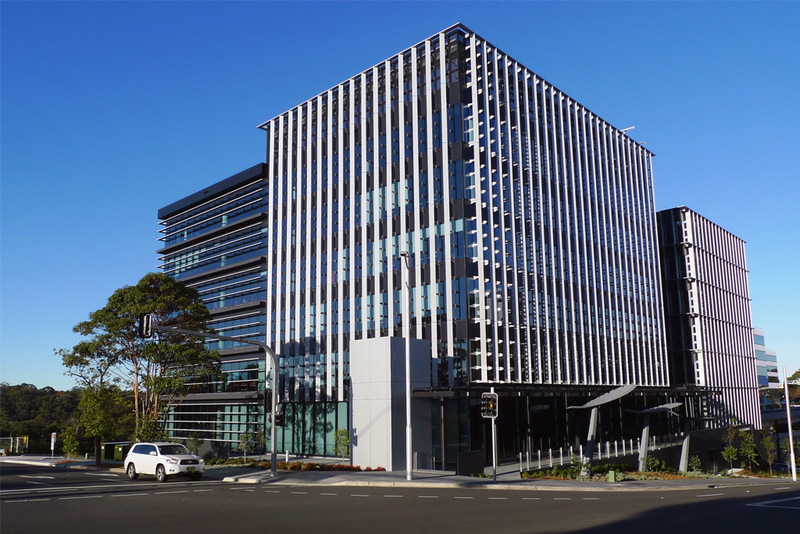 This recently completed six level office tower located on Talavera Road, Macquarie Park has been developed by Goodman Group for Fujitsu Australia. 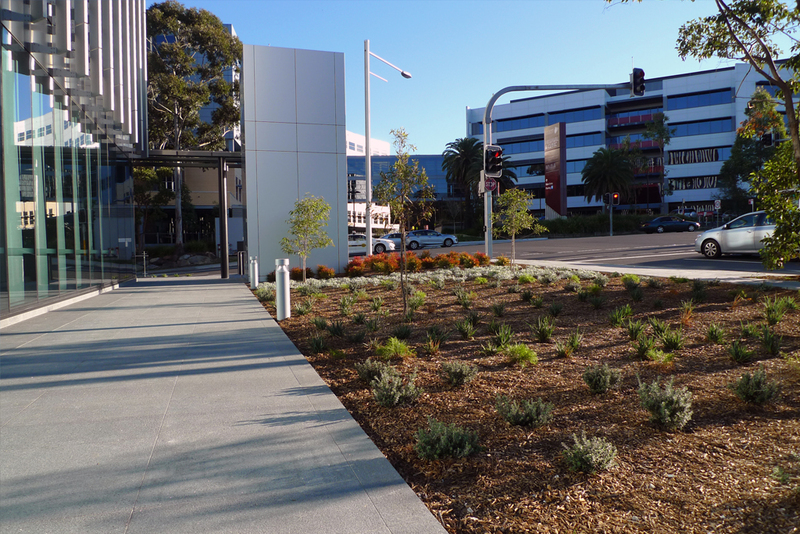 Built and project managed by FDC Constructions, this state of the art commercial office building benefits from frontages to both Talavera and Christie Roads. 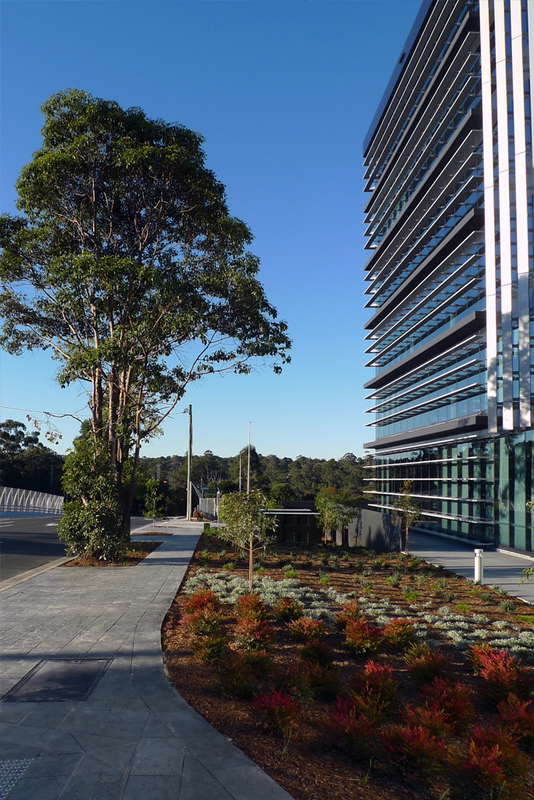 Its striking, louvred facades are also highly visible from the M2 Motorway which separates the site from Lane Cove National Park to the north. 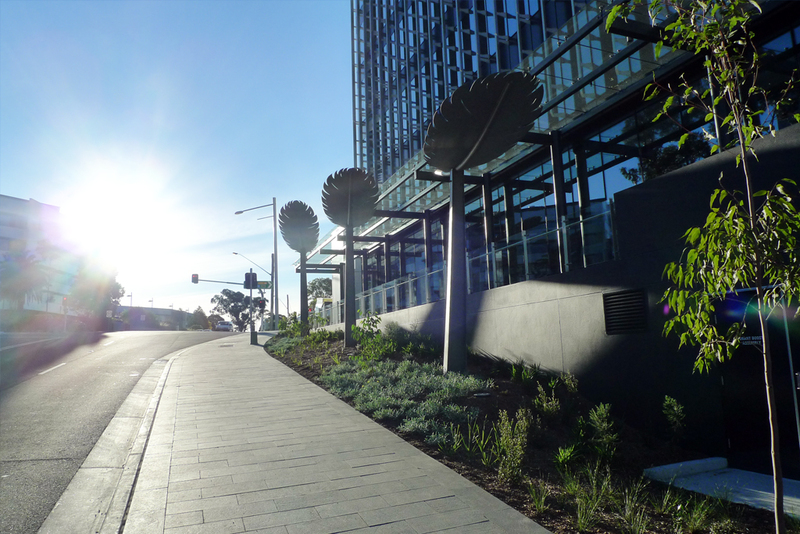 The site’s proximity to the National Park was respected within the landscape planting design which centred around a palatte of low water usage, indigenous and exotic plant species. 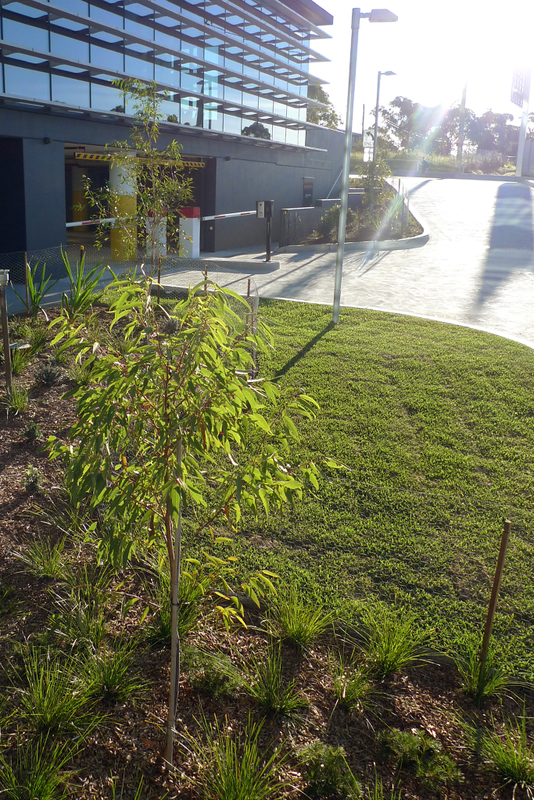 Strong bands of shrubs and groundcovers as well as mass plantings below semi-mature street trees form a feature alongside extensive granite paved public footpaths. 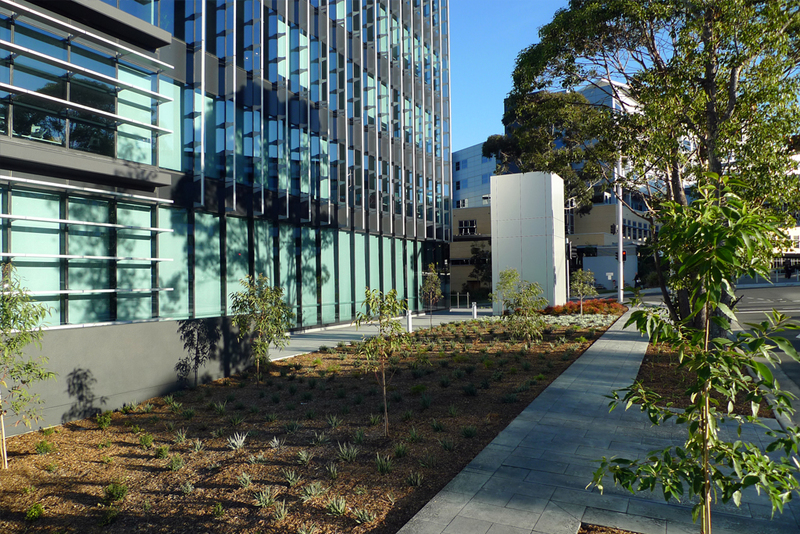 The new tower building is connected to existing buildings within the estate via a landscaped podium which offers external function and dining opportunities for building occupants. 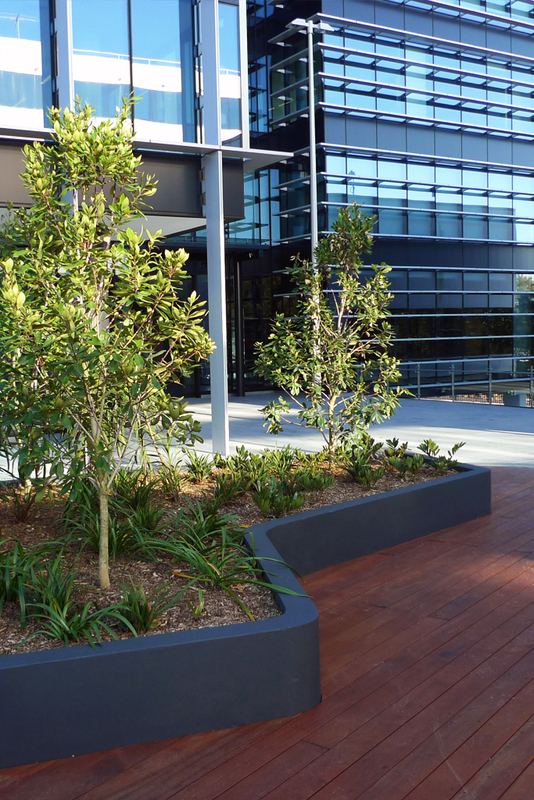 This building was awarded a 5 Star Green Star rating, with a significant contributor being the use of roof top harvested rainwater for landscape drip irrigation and internal uses.